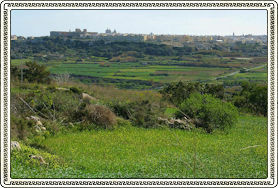 10 years guiding experience in the best countryside areas of the Maltese Islands. 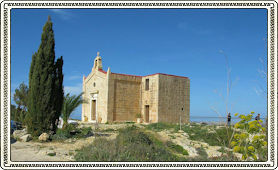 INTRODUCTION: Backed with 10 years of experience, MaltaNatureTours.com specializes in organising guided nature walks in Malta and Gozo. 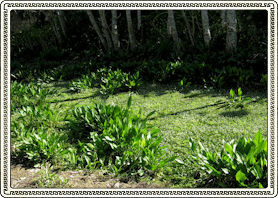 Identification and information about the biodiversity encountered is supplied in all tours. 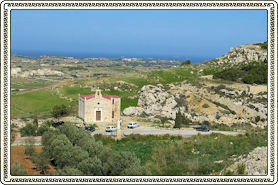 Small groups guarantee personal attention and a unique experience of the fantastic Maltese natural habitats. 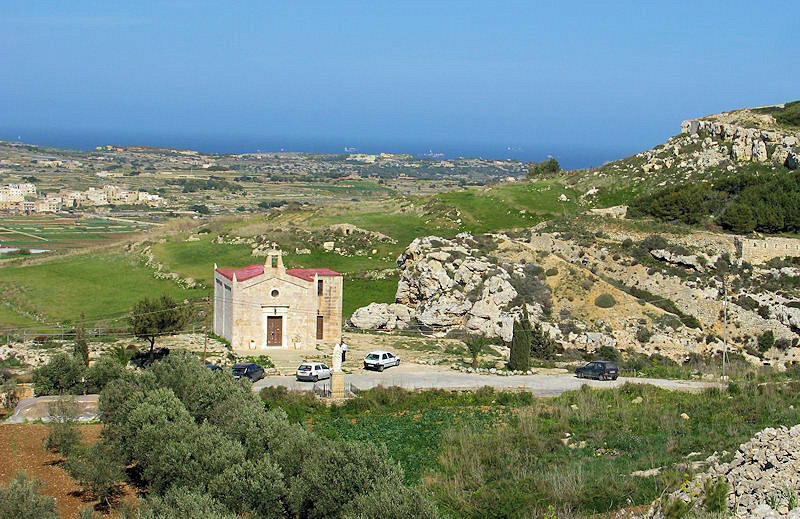 During these years, experience made these tours having the right balance of fun, education, non-exhaustive exercise, site seeing, plenty of magnificent views and with a touch of history in the safest and best countryside areas in the Maltese islands. 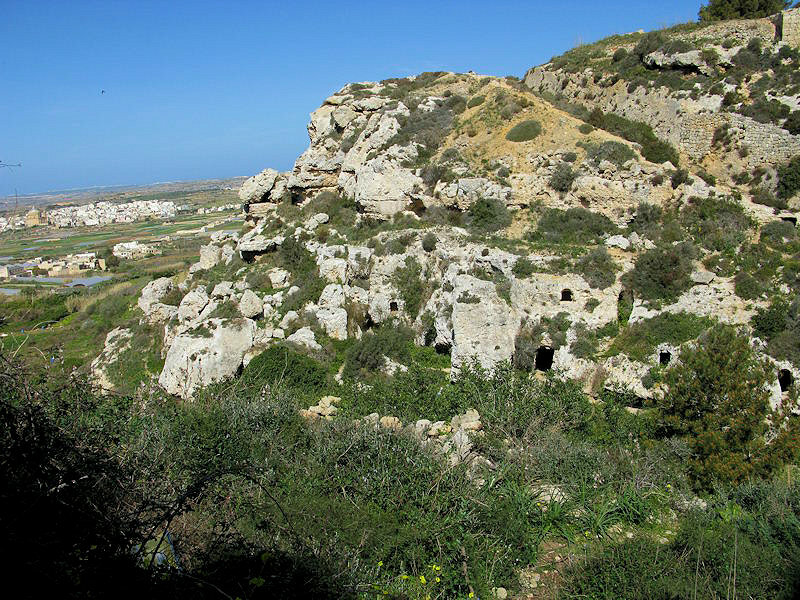 This full day guided nature tour takes us to the central west area of Malta with one of the largest valley systems on the Maltese islands, called Wied il-Fiddien and Wied il-Qlejgha. 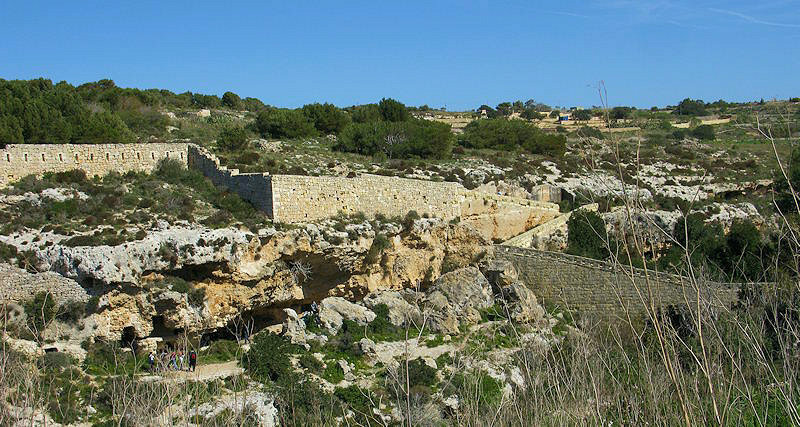 Its water course starts from Rabat area and pass close to the medevial city of Mdina and the british build village of Mtarfa. The series of dams along the wide valley built by the British civil engineer Osbert Chadwick forms a number of lake-like ponds (water catchments) and hence the name given - Chadwick 'lakes'. The water flooding over the dams gives an artificial effect of a small waterfall. These are best appreciated between November and March, though this tour is carried out from October till early June. 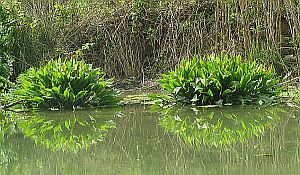 The water course brings about a number of interesting riparian trees, wild plants and fauna species related to wetland habitats, such as the poplars, willows, water cress, buttercups, rushes, sedges, plantains, and many other species. 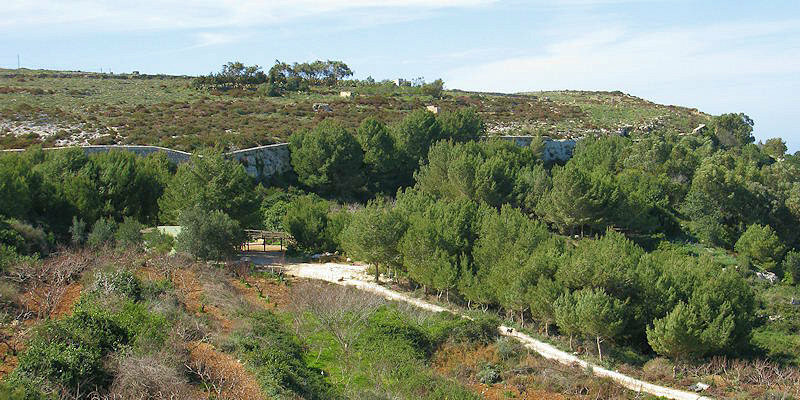 The second part of the tour offers a completely different habitat - the Mediterranean garigue, this time harbouring shrubby and small plants and fauna adapted to exposed limestone rock with shallow pockets of soil. The chamaleon, wall lizard, and oscillated skink are often encountered here, depending the luck of the day! 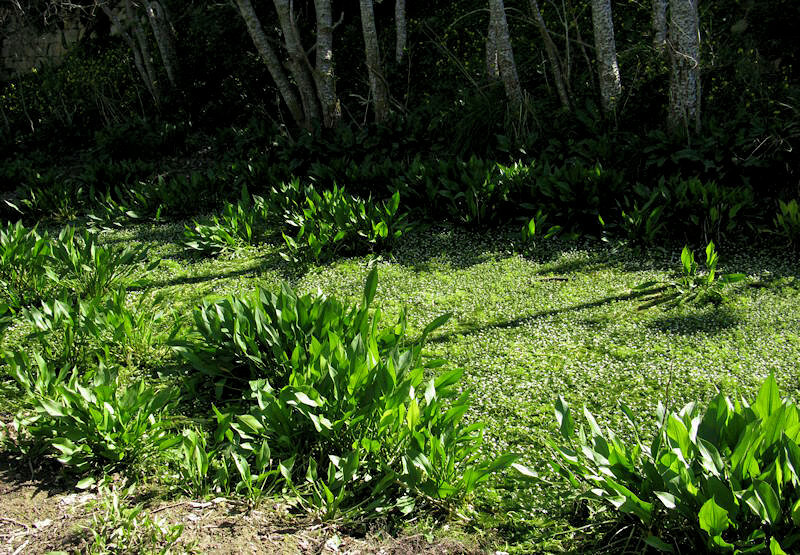 A large number of typical garigue plants are however guaranteed and include some endemic species like the Maltese fleabane, Maltese spider orchid, the Maltese pyramidical orchid, the Maltese Broomrape, Maltese dwarf Iris, and sometimes the Maltese spurge. 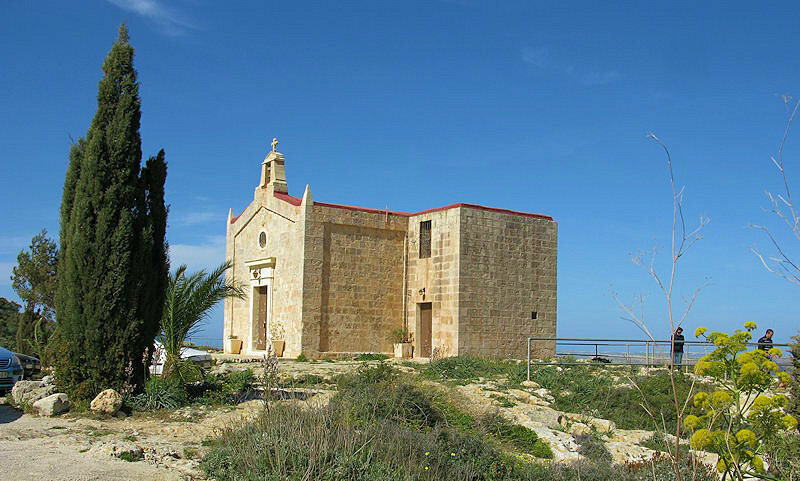 The third part consists of a walk along the Bingemma area which include fantastic views of Bingemma valley and Mgarr village and features some prehistoric Cart Ruts, the Bingemma gap, the chapel of Itria, the Bronze-Age tombs (est. 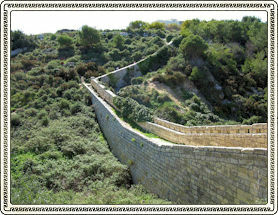 4000 yrs old) and part of the Victoria lines, a defence wall dividing the NW rural areas from the cities further South. 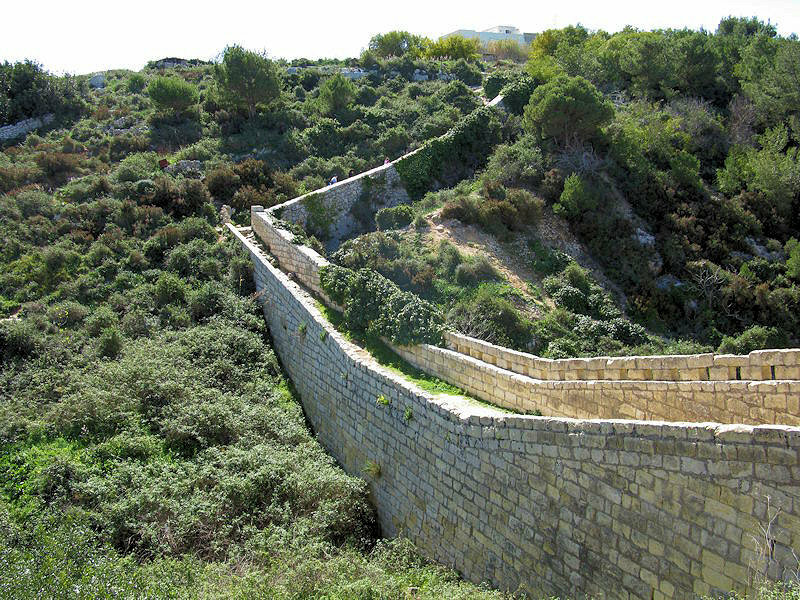 Part of this walk is in fact over the victoria lines offering panaromic views unique for Malta. 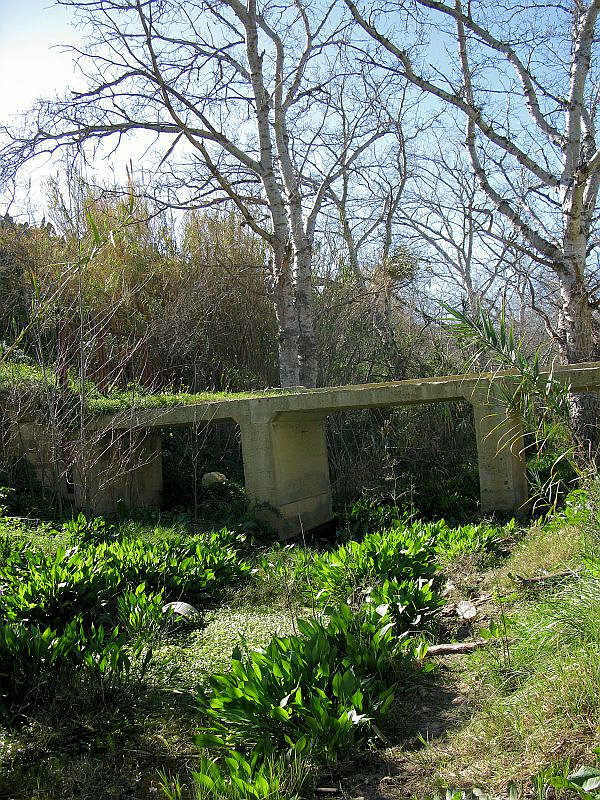 Some have described this part of the walk as walking on a bridge on air. 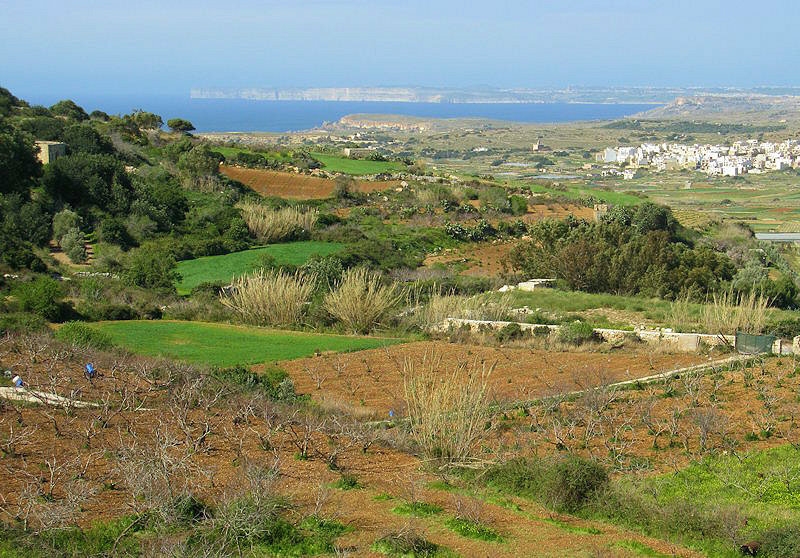 The consequent remaining parts of this nature walk are again in pure countryside terrains in the Mgarr/Bingemma/Mtarfa area, with further rare or aromatic plants to discover and admire their beauty, fragrance or aromatic scent. This is a track away from the normal tourist traffic, known only from our brave leaders. The tour is about 8km, and for good walkers, it could even be extended to 11km depending the time managment of the particular tour. 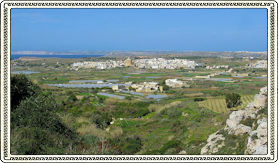 The tour is aimed for small groups to provide best quality and experience of Maltese nature. The tour is aimed for a duration of 7 hours in cool days and 4 hours (half day) for very warm days in end of May and June. 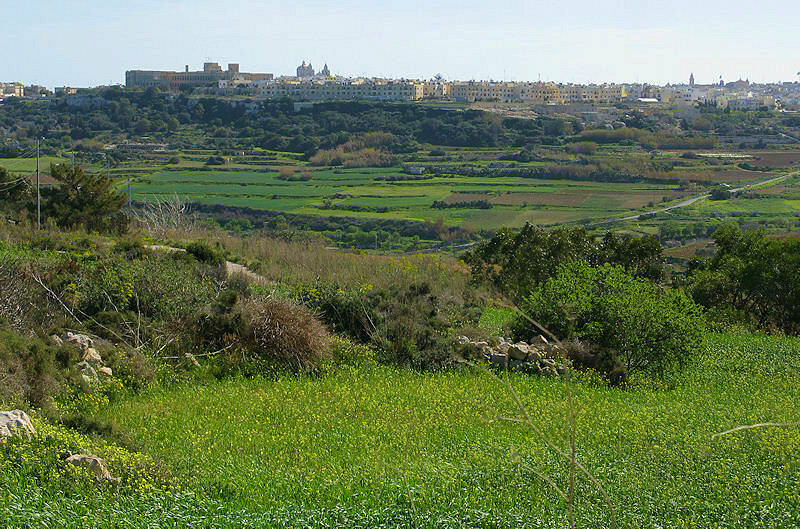 A half da tour can be combined with a visit (and lunch) at Mdina, but we only deal with the nature part, and hence we can drop you to Mdina around 1pm. 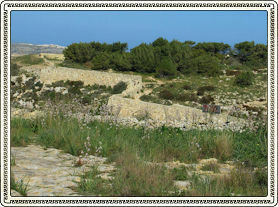 It can be also arranged that you are picked up from Mdina after lunch (typically 1pm) and follow a half-day tour after. Unfortunately, buses do not pass close to Chadwick lakes so you have to depend on our transport or a taxi (much more expensive). The tour is usually performed any day between Sat and Tue, depending request and weather forecast. Picnic style lunch can be order from us too. 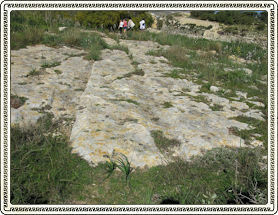 The walk is about 8km and ranked as easy to moderate easy due to some rock stepping and hilly slopes. Tours normally take place from Saturday to Tuesday, but sometimes this is flexible over other days depending weather conditions. 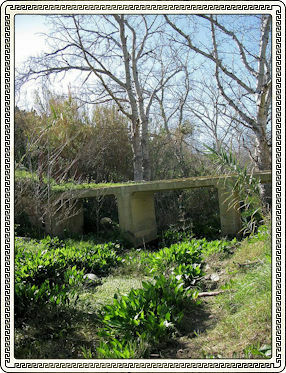 To make reservations, please contact Mr. Steve Vella at info@maltanaturetours.com or fill the reservation form. Please email for further details, reservations, bookings or special arrangments. Comfortable trekking shoes (open samdals / flip-flops not recommended). You do not have to worry about transport - all tours include our own transport which is much cheaper then taking a taxi or less troublesome from taking a bus. If you have your own transport (e.g. hired car) inform us to give you directions of meeting point of the tour. Please note that we cannot wait late-comers by more than a tolerable 15mins. Prices vary according to the group size, transport, pre-paid lunch and special customised conditions. Prices start from just 25 Euro per adult for standard tours. The Chadwick lakes, a series of dams build across the valley forming water catchments that superficially look like small lakes. 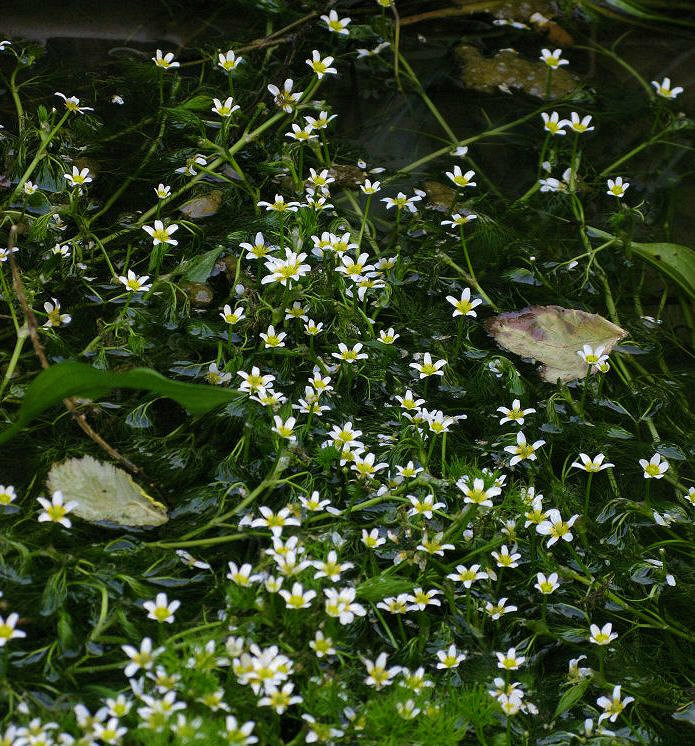 Water-loving plants along the valley and ponds of water in chadwick lakes. 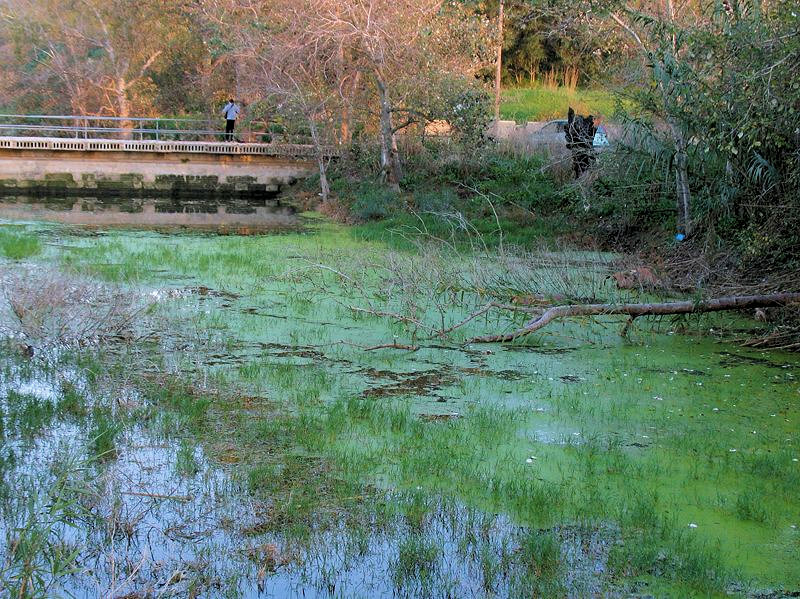 Bridges along the lakes seem to split the hibernating white poplar trees at the back and the Alisma and Buttercups in front. Pictoresque views of Mtarfa during he walk. 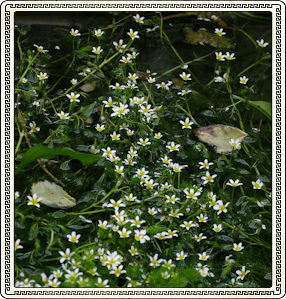 Numerous Star-shaped buttercups floating over the water gathered in the valley running between hills. 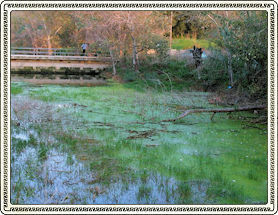 Wetland biodiversity explored during the tour. The mysterious, prehistoric cart ruts can be viewed along our walk. Aleppo Pine trees over Dwejra area. 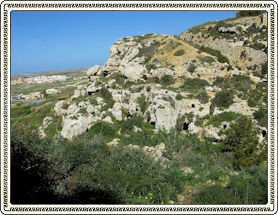 Rock cut tombs dating from the Bronze-Age. 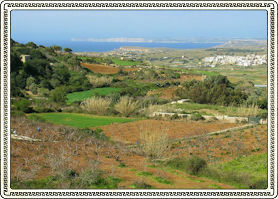 Breath-taking views always guaranteed, as in this case the plains of Bingemma and Mgarr. The famous chapel of Bingemma (not visited). Looks like a small version of the great wall of China. More fantastic views from this walk. Agriculture areas quite common along the walk. 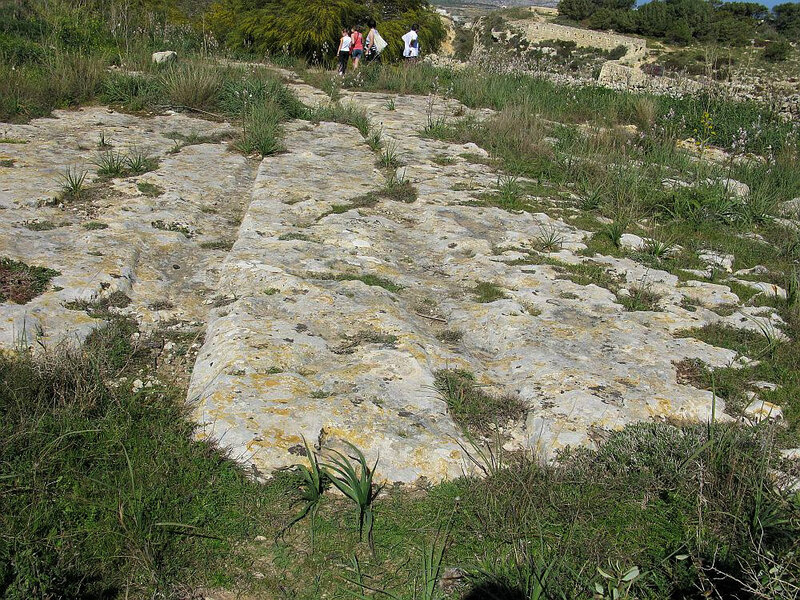 The Mediterranean rocky garrigue and its peculiar wild plants explored and explained. Q: How can I book this tour? Q: If I take the bus option and I get late or lost? The bus routes in Malta are far more simple than rest of Europe/US and the [bus guide] provided on the website makes life so easy that it is impossible to get lost (unless you fall asleep in the bus!) In case of delays of few couple of minutes, please phone the excursion leader from the Xemxija Fire Brigade Department (just at the meeting spot) for a feasible solution. Q: What if it rains in the middle of the excursion? It's still nice :-) unless you forget a light waterproof jacket and/or boots. Please have a look in the morning at the local weather forecast. (also on TV teletext of your hotel). The forecast of the day is quite accurate. If it gets impossible during the tour, we stop till the restaurant (half way) and you get half the money back. Q: Can the tour be cancelled? Yes in very difficult weather conditions (storms, ice hail or extreme wind) the tour is cancelled, or better to say postponed to the next date. In such rare cases, you will be informed at your hotel or own phone number early morning. Q: I am old and not physically active, shall I come? Although it is mostly plain walking, there are some elevated slopes that one should consider, and perhaps it is safer not to risk if you know that you have such fatigue trouble. Please bear in mind that we cannot nurse people who get too much tired quickly, as it will ruin the fun and value of the others. 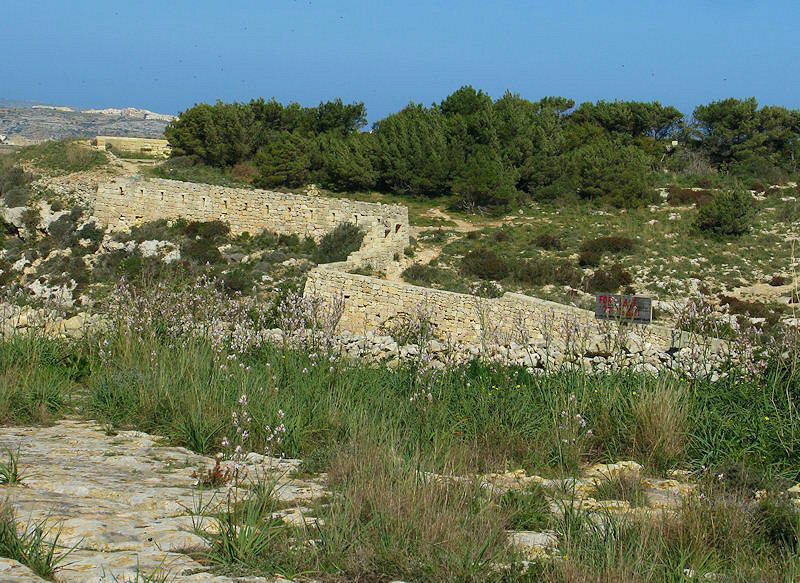 Despite this, the walk has several mini breaks and discussions stops about Maltese nature, so it is not a marathon sort of thing. Please contact us as soon as possible since from last year, the prices vary according group size, transport conditions and season of the year, making it overall cheaper from the previous years! Typically Prices are 24Euro per adult but can vary slightly. For example large groups tend to have discounted prices and an extra guide from MTA. During these type of nature walks, it is not always possible to find a restaurant on the track, so lunch is always taken outdoors (picnic-style). You can bring your own food with you or else for an extra 5 Euro you will be served our maltese-style lunch. 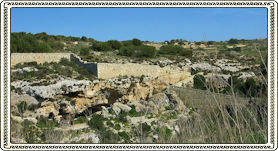 The nature of Malta is fantastic, and this tour hghlights it very well. Money well spent compared to other tours I taken on the islands. 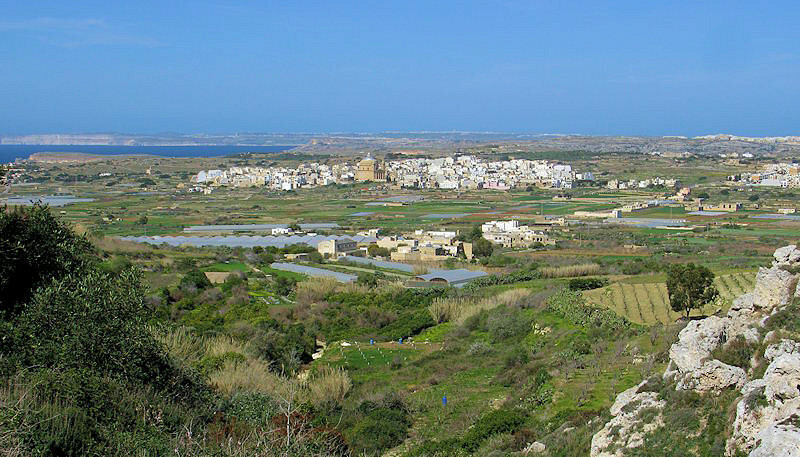 The combination of a half-day tour in the morning at Chadwick Lakes and a deserved lunch at the nearby old city of Mdina worked really well, though I will book a full day tour next time I have the opportunity. I and my family chosen this tour and it was very interesting and beautiful. It was surprising that there are a good number of plants which are common or almost similar in Moscow. I really like the fragrance of the Maltese plant fleabane and the thyme, while the orkids are so strange beautiful plants. This guided nature walk had a bit of everything, and our kids enjoyed it a lot and had one of their longest sleeps at night that I remeber of! My husband liked a lot to see the river-like water and waterfalls over the walls and the speciel vegetation that grew at the sides of the water and under the trees. A special tour that you are really in touch with nature and well explained by the leader.